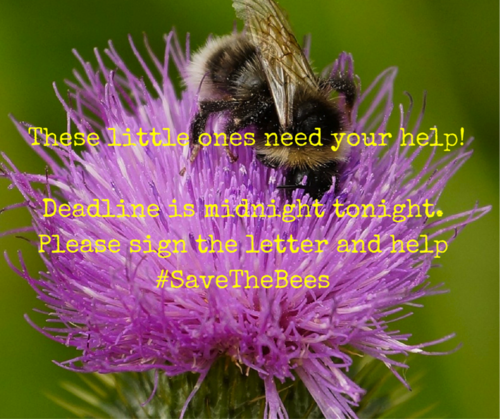 Send your letter today to save bees! Send your letter and comments below to Health Canada today. Please note that personalized messages get a lot more attention from decision-makers! Public comment period ends March 23rd -- so act today! Please send your letter below today! 1 – Environmental Science and Pollution Research, January 2015: Vol. 22, Issue 1. Special issue: Worldwide Integrated Assessment of the Impact of Systemic Pesticides on Biodiversity and Ecosystems.